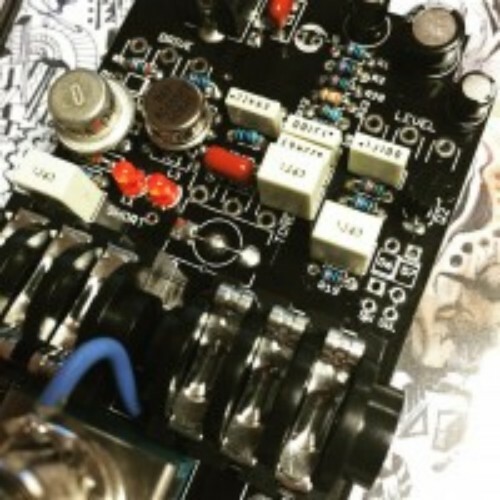 Robert Keeley is one of the best Guitar pedal designers and modders in the music industry. The worlds biggest stars and producers use his pedal from Steve Vai to U2 'The Edge'. 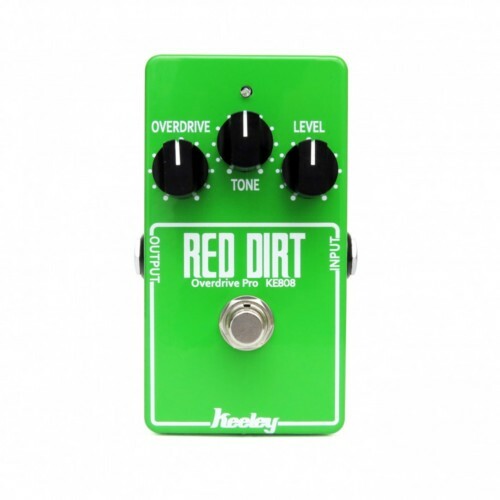 Limited Edition Keeley KE-808 Red Dirt Professional Overdrive offers new levels of sonic versatility to the world renowned Red Dirt Overdrive. The KE-808 is certainly one of the best tubescreamer style pedals made. The Limited Run KE-808 is a blend between the super-hot sounds of the Red Dirt Germanium and the Super Limited John Petrucci Edition, which Robert built for John. The new Limited KE-808 has parallel branches of gain like the Red Dirt Germanium which creates huge gain response and the fullest sounding tube screamer like pedal we’ve ever made. RC4558P IC. This gives the KE-808 the original Red Dirt Overdrive tone but fatter, bigger, and more tube-like. A Keeley designed FET input stage makes this overdrive breakup in a whole new, genuinely “tube like” style that will have your leads singing and your rhythm playing sounding more dynamic and expressive than ever. It all culminates in an overdrive that is superbly dynamic, with crispness and clarity that let players cut through a dense mix, while retaining the plump midrange. By incorporating these tones along with the Keeley standard of U.S.A. hand-built quality using premium components, the Red Dirt overdrive aims to become an indispensable part of any pedal chain.